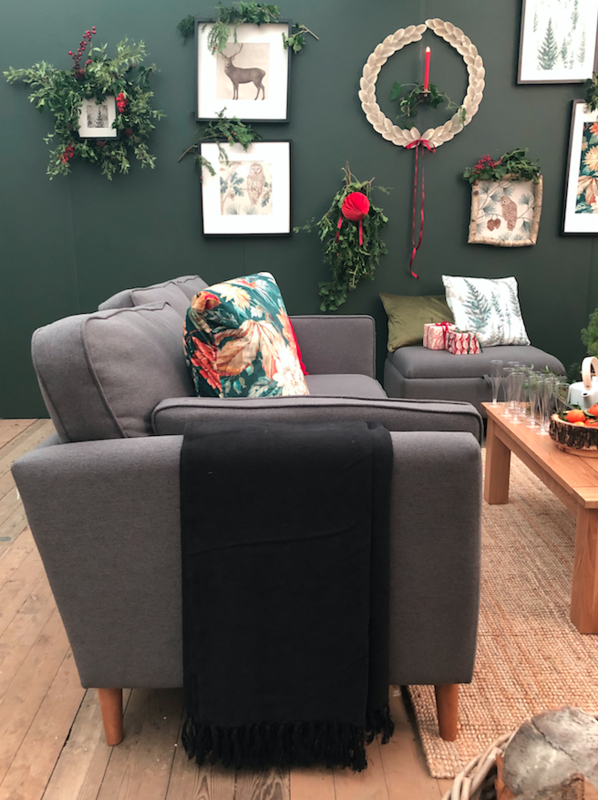 To celebrate some of our favourite furniture pieces being at the Country Homes & Interiors Christmas Show this week, we chat to interiors stylist, Selina Lake about her inspiration behind the room sets and how she chooses to decorate her home at Christmas. 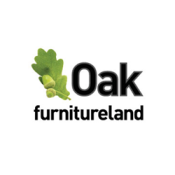 What are your favourite Oak Furnitureland pieces at the show, and why? 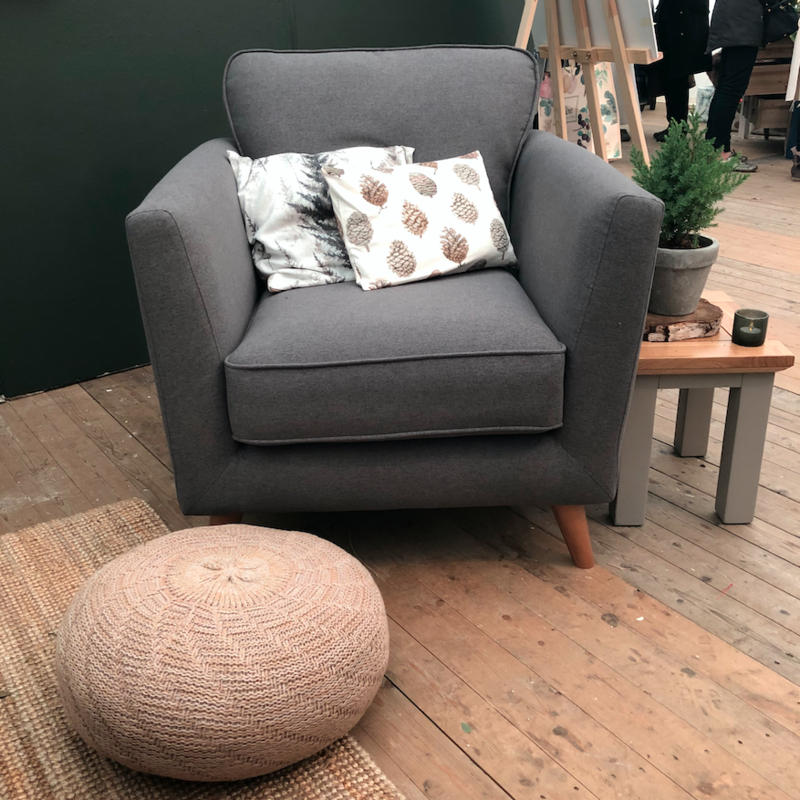 The Cooper armchair in Charcoal is my favourite piece. It’s comfy, stylish and would fit perfectly into my living room at home. 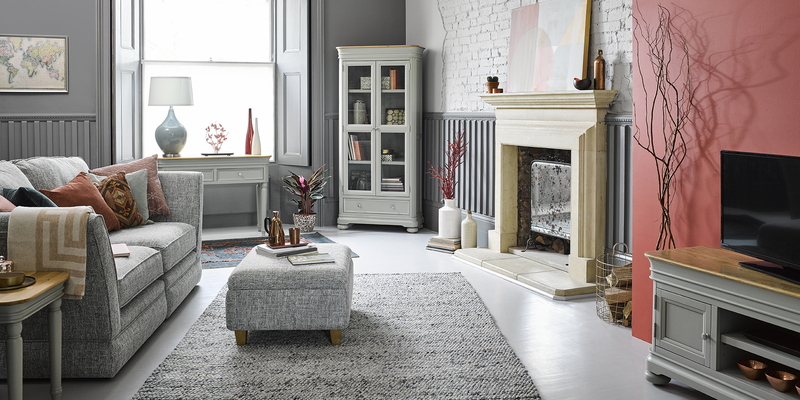 Cooper is actually our newest sofa range – what made you choose to include it within the room set? I really like its nod to mid-century modern style and the feet have an on-trend Scandi feel. 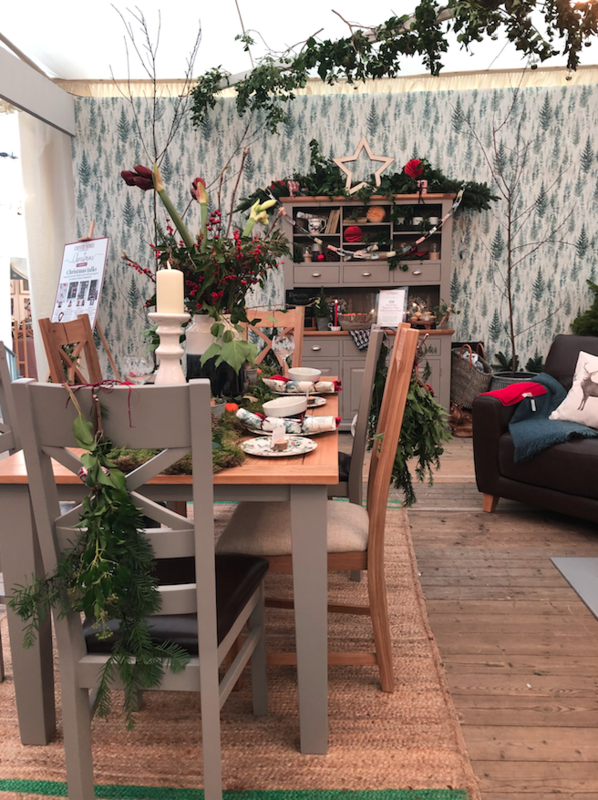 This year I have styled the Country Homes & Interiors Show room set in a woodland-inspired festive theme with elegant elements of Nordic style making the Cooper range the perfect fit. 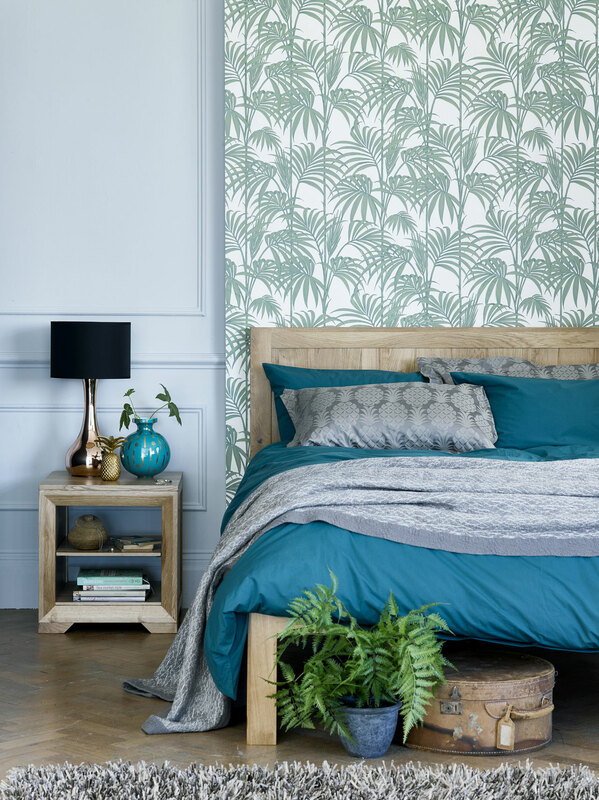 You’ve also used pieces from our popular St Ives range – what do you think of them? 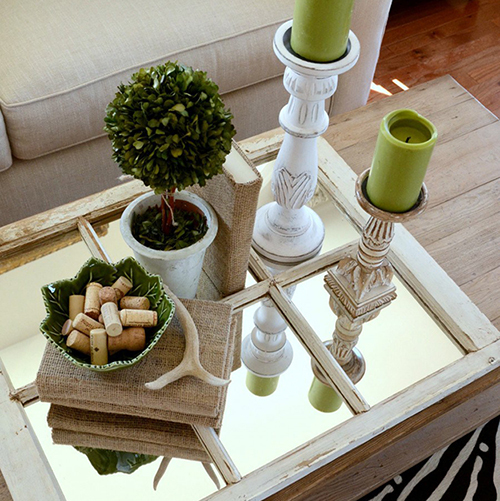 The range is an ideal choice when you want to mix natural wood with painted elements. 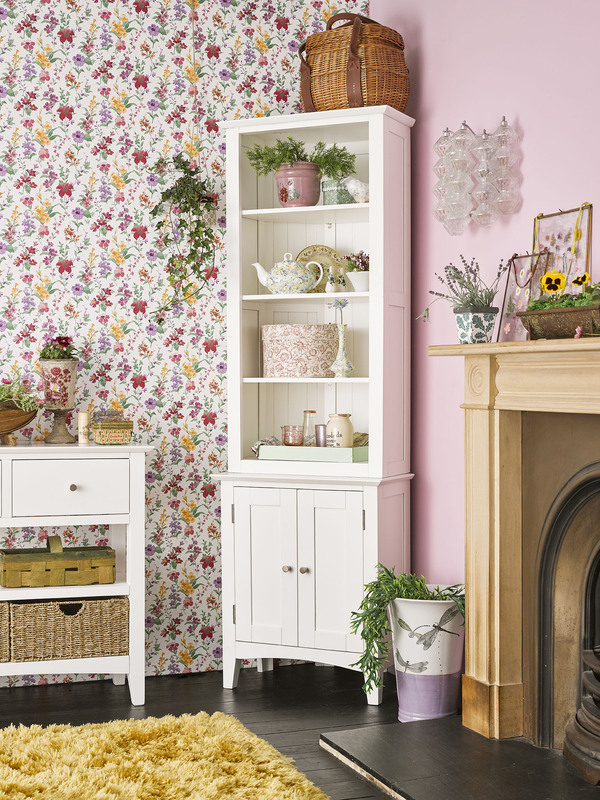 It has a Modern Country style which works well in a rural setting but will equally give a modern home a country feel. 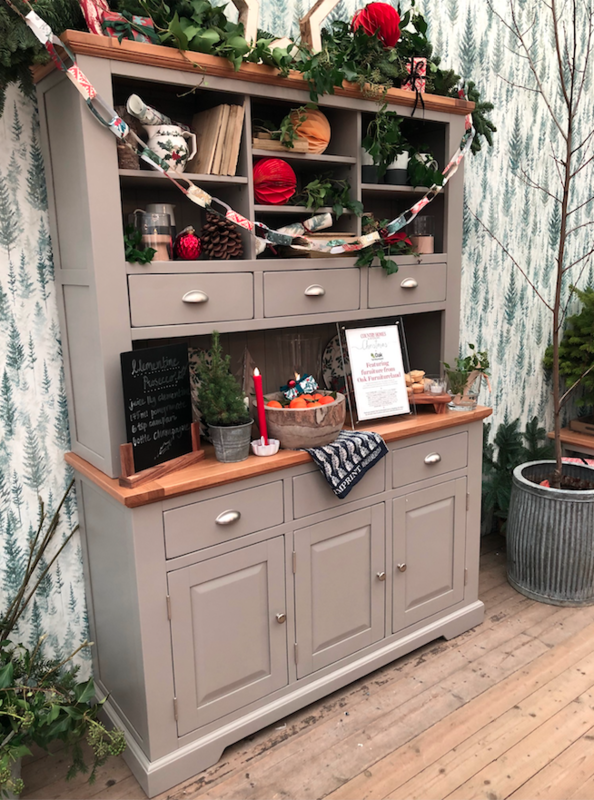 I have styled the St Ives large dresser in the Country Homes & Interiors Show room set as a festive bar. It’s a great spot for guests to help themselves to drinks and mince pies while you’re busy cooking Christmas dinner. 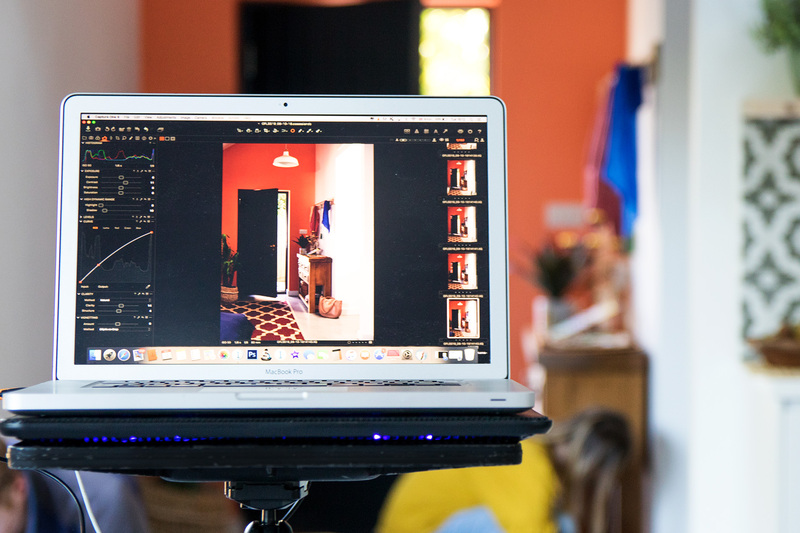 It’s a versatile piece that’s great for display and storage. We’d love to hear more about your own Christmas preparations. How do you make your festive home interior unique to you? Each year I do a little crafting to make festive decorations and accessories. I make my own crackers from leftover wallpaper, and wreaths and garlands from foliage and dried flowers from my garden. I also like to bake my famous amaretto snowflake mince pies and chocolate fruit and nut bundt cake, which I display under glass domes on a range of cake stands. What are your top tips for transforming your home for Christmas? Bring foliage in from the garden, such as ivy, berries and pine sprigs and use them to dress the centre of your dining table. I also like to add moss, which I buy from a local florist. 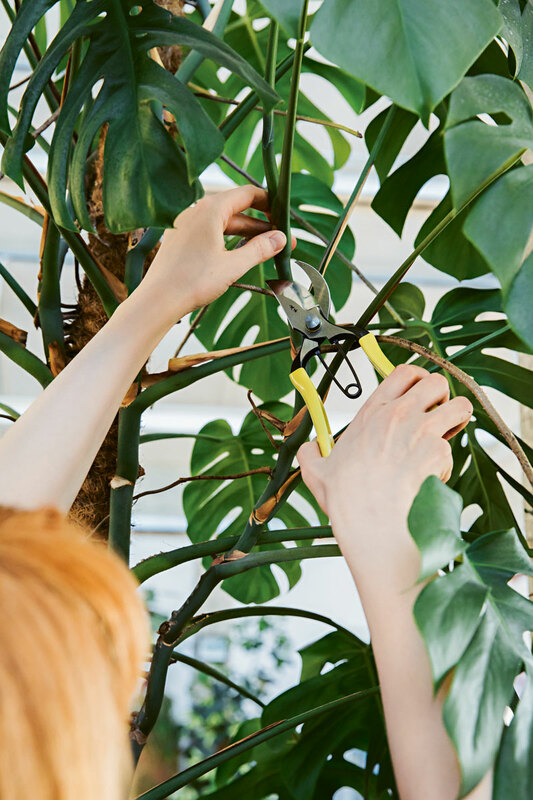 You can gather foliage sprigs and tie them to the back of chairs for decoration and use larger cuttings to drape over the top of dressers or cupboards. 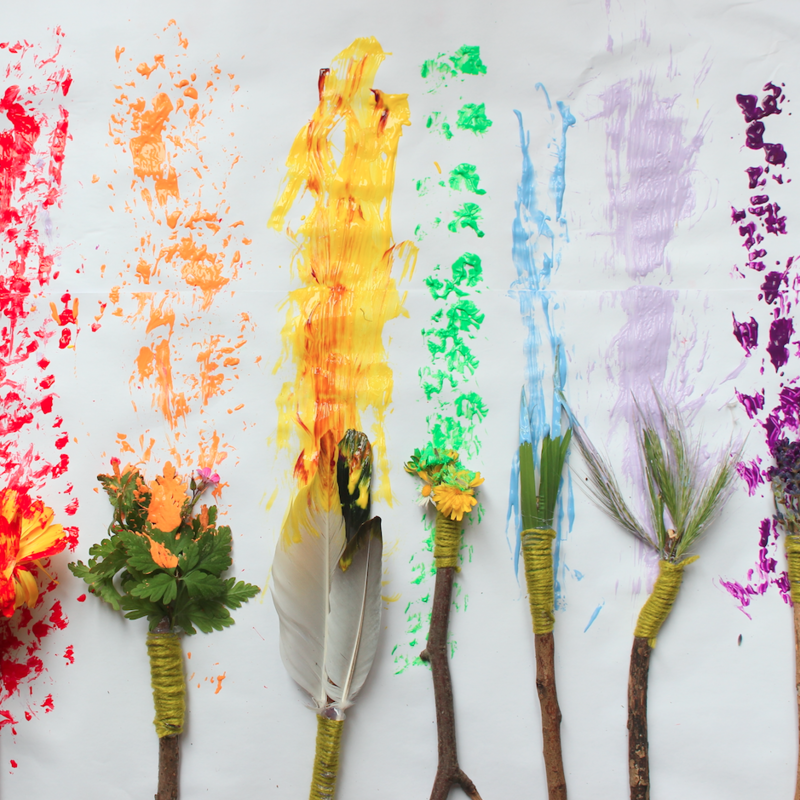 I also like to add and mix in lots of twinkle amongst the foliage. I do this with glowing candles in glass lanterns and a mass of warm white fairy lights. And finally, do you have any special family traditions to celebrate Christmas? A glass of Bucks Fizz with breakfast! 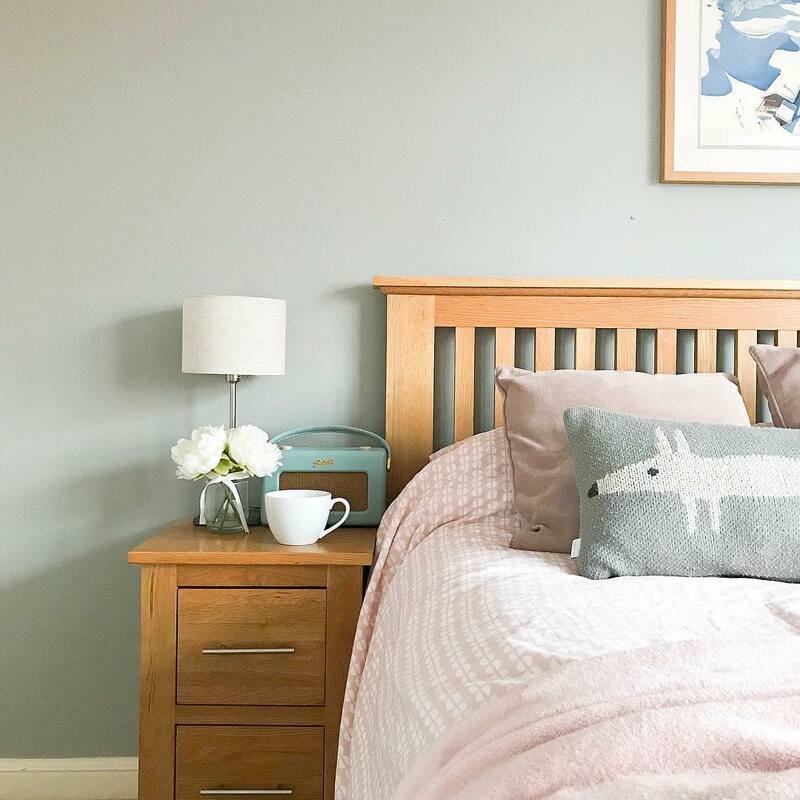 To find out more about interiors stylist, Selina Lake, head over to her website or get inspired over on Selina’s Instagram.